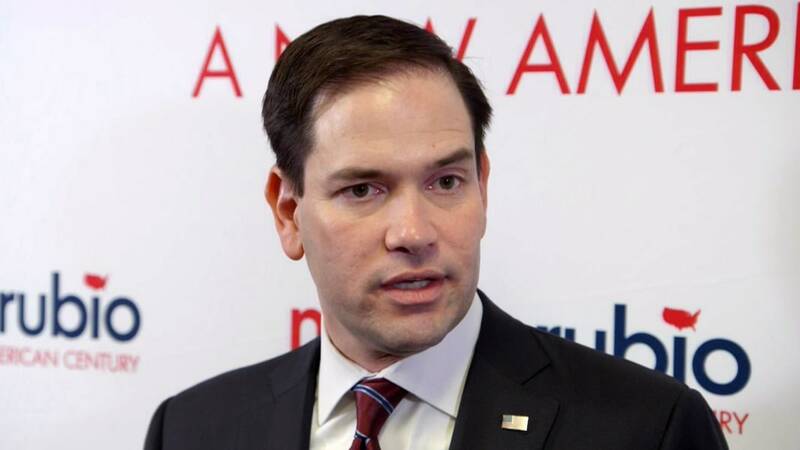 LARGO, Fla. — Marco Rubio spoke out against Donald Trump and the violence at his rallies in forceful terms Saturday morning, warning that "this is what the Republican Party's going to be defined by" if he's the nominee. 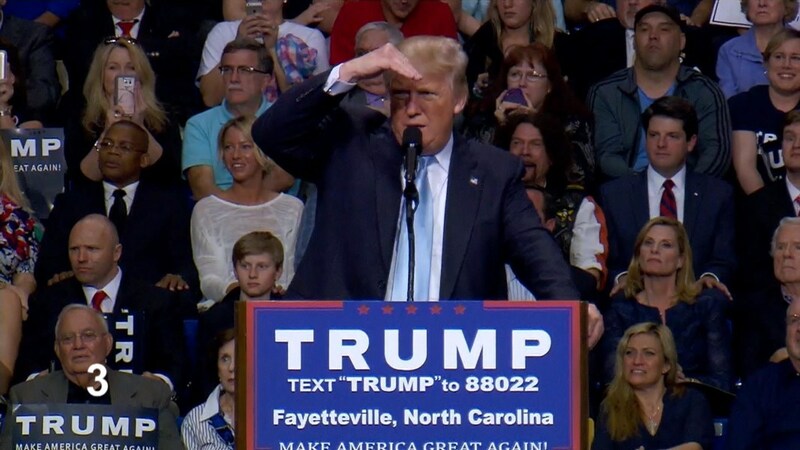 "Presidents cannot say whatever's on their minds," he told a small crowd during a Tampa Bay-area rally. "You don't say it because it's wrong to do it — every society must be governed by rules of discourse. Once you lose the rules of discourse, you lose the discourse." "If he's our nominee, this is what the Republican party’s going to be defined by. This is what it’s going to mean to be a conservative," Rubio cautioned. Rubio's comments follow a night of unrest in Chicago after protesters caused enough chaos at a Trump rally planned at the University of Illinois-Chicago that Trump decided to cancel the event. The rally disbanded onto the streets of the Windy City, where protesters and supporters clashed with police. Five people were arrested and two officers were injured. All three of the remaining GOP presidential contenders — Rubio, Ted Cruz and, in a statement, Ohio Gov. John Kasich — decried Trump's refusal to denounce the violence that's broken out in recent weeks at his rallies. "I think a campaign bears responsibility for creating an environment," Cruz said in Illinois on Friday night. "When a candidate urges supporters to engage in physical violence, to punch people in the face, the predictable consequence of that is that it escalates, and today is unlikely to be the last such instance." Kasich also called Trump out Friday night. "Tonight the seeds of division that Donald Trump has been sowing this whole campaign finally bore fruit, and it was ugly," he said. "Some let their opposition to his views slip beyond protest into violence, but we can never let that happen. I urge people to resist that temptation and rise to a higher level." The skirmishes Friday happened after a Trump supporter was arrested earlier in the week for punching a protester on camera, and Trump campaign manager Corey Lewandoski was accused of yanking Breitbart reporter Michelle Fields when she came up to Trump to ask a question. Fields has filed a criminal complaint. "This is what a culture and a society looks like when everyone goes around saying whatever the heck they want," Rubio said Saturday. "The result is, it all breaks down. It's called chaos. It's called anarchy. And that's what we're careening towards." Asked just minutes earlier by reporters whether he'd continue to support Trump — who still maintains a significant lead in most public polls for the GOP primary — he said: "I still at this moment continue to intend to support the Republican nominee." "But," he added, "It's getting harder every day."